McDonald's Locations in Greater San Antonio Support SAReads! 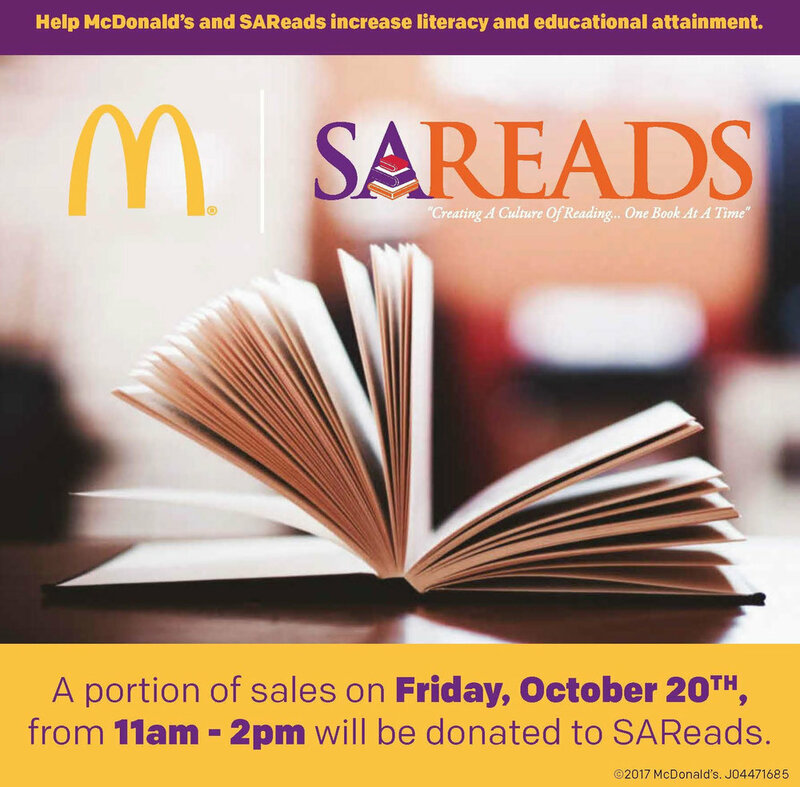 On Friday, October 20th, a portion of proceeds from lunch sales at over 120 McDonald's locations in Greater San Antonio will be donated to SAReads! No flyer or coupon is required. Visit your area McDonald's between 11 am and 2 pm on Friday to support SAReads. Includes all menu items! Special thanks to McDonald's of Greater San Antonio for their generous support of SAReads.